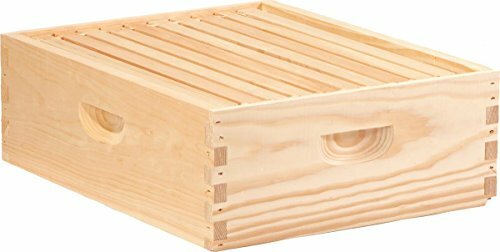 This 10 frame beehive addition from Honey Keeper is constructed to help you expand a prosperous colony. The foundation is built with premium fir wood while the frames are made of white pine wood. 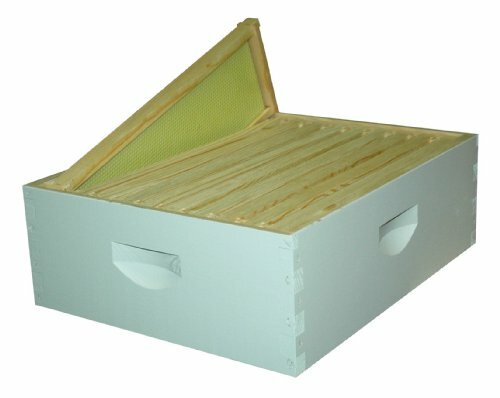 The kit comes with everything you need to add a deep super structure to a Langstroth style bee hive with 10 deep frames and pre-cut frame foundations with unwaxed hexagonal shaped foundations surfaces. Super structure dimensions - 16-1/4" long by 20" wide by 9-3/4" high. 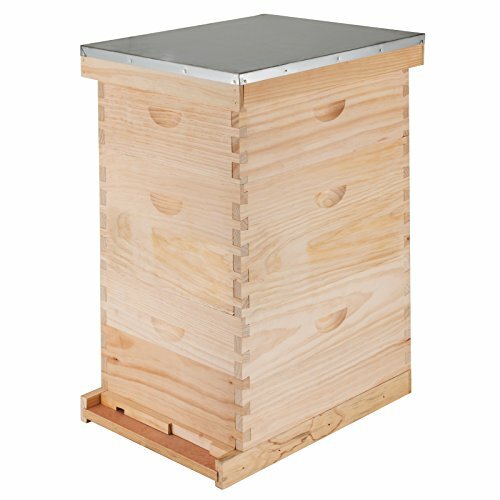 The hive super is easy to assemble with pre-cut dove tail joints and also includes heavy duty nails. The little Giant 10-frame medium Super (honey Super) with frames is pre-assembled for easy set up & use, including pre-installed wax-coated, natural-colored plastic foundation preferable for honey harvesting. Made of unfinished pine, the medium Super is precision-milled for maximum strength. Ready to be added to your hive right out of the box! the medium Super includes: 10-frame 6.625" medium Super, 6.25" wooden frames with wax-coated, natural-colored plastic foundation. Be ready for the honey flow with this completely assembled super kit. Made in the USA from quality pine. 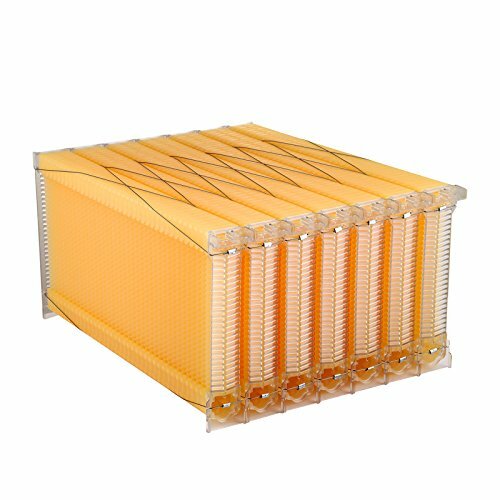 This assembled 10 frame super kit includes one painted 6-5/8-inch assembled 10 frame super, ten 6-1/4-inch assembled wood frames with yellow Rite-Cell foundation coated in beeswax. Box is stapled for added strength. Measures 19-7/8-inch length by 16-1/4-inch width by 6-5/8-inch height. Mann Lake plastic queen excluders are a great alternative to the more expensive metal bound excluders. Molded plastic leaves no rough edges to harm your bees. Eliminate the risk of losing your queen, & make it easier to find her by keeping her in the brood chamber. You also won't have to contend with brood in the honey supers during extracting time. 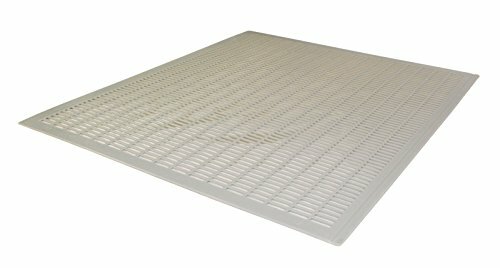 This 10 frame excluder is compatible with any 10 frame langstroth hive. 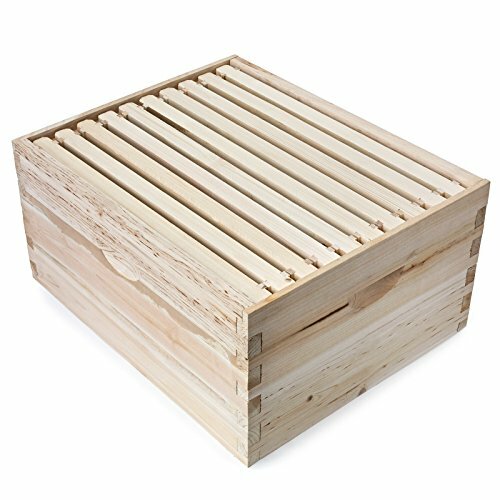 This 20 frame beehive kit from Honey Keeper is constructed with all of the features that help you create a prosperous colony. The foundation is built with premium fir wood while the frames are made of white pine wood and features a galvanized metal capped telescoping roof top. 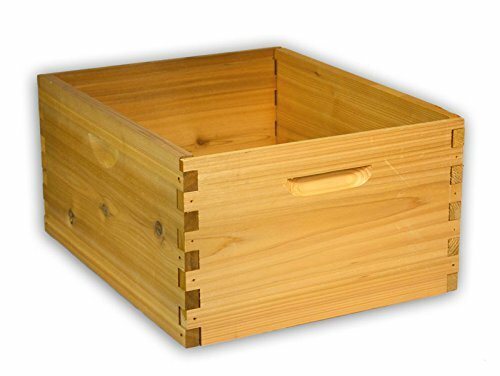 The kit comes with everything you need to build a Langstroth style bee hive with 10 deep frames, 10 medium size frames, and pre-cut frame unwaxed foundations with hexagonal shaped foundations surfaces. Also included is the inner cover, bottom board, entrance reducer, and queen excluder. 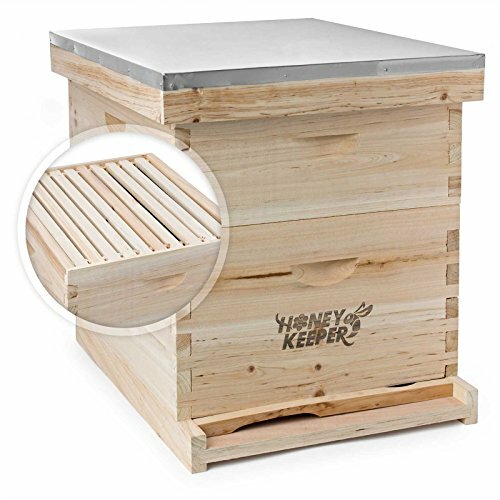 The hive is easy to assemble with pre-cut finger joints and also includes heavy duty nails. Measures 23 inches in length by 18-1/4-inches in width by 19-3/4 inches in height. 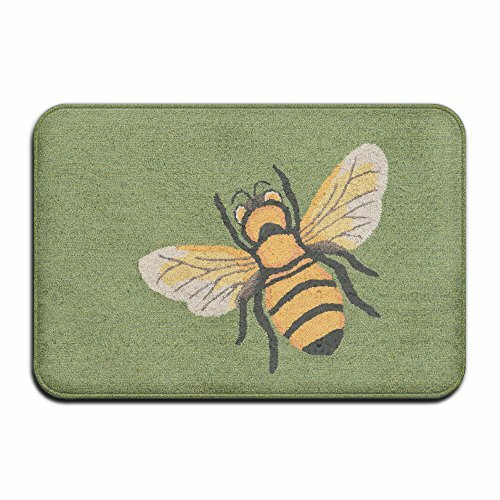 Compare prices on Honey Bee Super at ShoppinGent.com – use promo codes and coupons for best offers and deals. Start smart buying with ShoppinGent.com right now and choose your golden price on every purchase.